Kitchens Of Distinction's Patrick Fitzgerald & Tanya Donelly team up on "Golden"
Kitchens of Distinction vocalist/bassist Patrick Fitzgerald released a new EP today under his solo moniker Stephen Hero. The title track is a beautiful collaboration with Tanya Donelly (Belly, Breeders), which Fitzgerald describes as "a sonic stratosphere of lovesong." Stream "Golden" below and purchase The Golden EP through Bandcamp; the songs are available as individual downloads, but those who purchase the full EP receive two additional bonus songs (six songs in all). Go here to purchase. 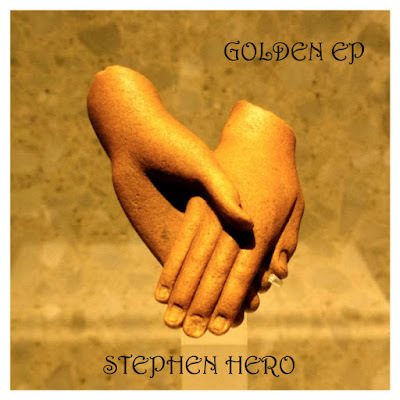 Preview all the songs from Golden EP below. The footage was shot at Luxor Temple in Egypt.